Children grow up fast. As they do, their needs, desires, goals and interests all change. Their relationship with their parents changes as well. Whereas a child might be more attached with her mother during infancy and childhood, the child may become more attached and develop a better relationship with her father during adolescence. Children of divorced spouses are no different. But whereas children of a committed couple can simply choose which parent they would like to spend more time with, children of divorced couples must comply with orders the court enters. These orders can direct that they live primarily with one parent and may even dictate how often they see the other parent. These orders are contained in a parenting plan. Parenting plans may be modified as circumstances change and the child grows. However, it can be a burdensome process to modify a parenting plan, especially if the other parent is objecting to changing the plan. Before discussing how to modify a parenting plan through the court, it should be mentioned that parents can in virtually every circumstance modify a parenting plan by agreement. (One possible exception, for instance, is if one parent has put the child’s life in danger in the past.) Courts are eager to encourage divorced parents to work together and communicate one another about their children’s needs and take measures to meet those needs. called for each parent to exercise visitation with the child for 1 week at a time (that is, mother would have the child for one week, and then father would have the child for one week). But now the child is ready to start school and father lives in a different school district than the mother. The parents can agree amongst themselves to alter the parenting plan to allow the child to reside with the mother during the school year with the father having some weekend visitation in exchange for the father getting extended visitation periods on school breaks and during the summer (or any other agreement the parties wish to make). To protect yourself in the future, it is always recommended that you inform your attorney that you have made a change to the parenting plan by agreement. A written agreement should be drawn up that memorializes the changes you are making. Both parties should then sign the agreement (along with their attorneys, if any) and the original signed agreement should be filed with the court. This prevents the other parent from attempting to claim later that there was no agreement and you are attempting to interfere with his or her parenting time. My Ex-Spouse Won’t Agree to Modify the Plan . . . What Now? If the other parent will not modify the parenting plan, you must get an order modifying the parenting plan from the court. Unless there is an immediate emergency (i.e., the child’s life or health is in immediate danger), the court will not modify the parenting plan without holding a hearing and allowing both parents to present their respective views. Even if a court does modify a parenting plan without a hearing because of an emergency, the court will need to hold a hearing shortly after modifying the plan to determine whether the plan should remain as modified or if it needs to be changed back. In determining whether to modify a parenting plan, the court is to make decisions it believes are in “the best interest of the child.” It will generally modify parenting plans when there has been a substantial, unanticipated change of circumstances and the modification of the plan is in the best interest of the child. “Substantial” means that it must be of a permanent or near-permanent nature; “unanticipated” means that the situation was not or could not have been anticipated by the parties or the court at the time the original parenting plan was ordered. This is a rather ambiguous standard and leaves the court with a great deal of discretion when deciding what parenting plan is appropriate. What this means for you, the parent seeking to modify a parenting plan, is that you will need to convince the court that the modified parenting plan you are seeking is in the best interest of the child and that the previous parenting plan no longer serves the child’s best interest. interests are served when the child is placed in a physically and emotionally safe environment free from abuse and neglect. Both parents: Unless one parent has been found unable to care for the child, courts will almost always find that a child’s best interests are served when the child is able to build a relationship with both parents. In other words, it is a very rare move for a court to approve a parenting plan that significantly or completely cuts the child off from seeing the other parent. Family ties: While perhaps not as important as the other factors, if a child has developed significant ties with extended family members like grandparents, aunts, and uncles, a court will likely take this into consideration when determining the child’s best interests. So, for example, a parenting plan that proposes to move a child to a different home and away from the grandparents when the child has a close, loving relationship with the grandparents and has seen them nearly every day of her life might not be approved by the court. Child’s wishes: Unless the child is almost an adult (perhaps 16 or 17 years old), the court will almost never modify a parenting plan simply because the child wants the change. The court will likely consider the child’s wishes, but depending on the child’s age the court may not give these wishes much deference. Violation of parenting time agreement: Rarely does a court modify an existing parenting time plan because the other parent has “been bad” and not allowed visitation as previously agreed. There are steps and actions a court can take to address bad behavior by a parent, but modifying a parenting time agreement is rarely done in this situation. Disparate incomes: Finally, a court will rarely change a parenting time agreement or change the residential placement of a child simply because one parent makes more money than the other. Unless the residential parent is so destitute that he or she cannot physically provide the basic necessities of life for the child – food, clothing, shelter – the court gives little weight to the respective earnings of the parents. The process of modifying an existing parenting plan begins when you file a written motion in the court that ordered the previous parenting plan. Along with the motion you must file a proposed parenting plan that you are asking the court to adopt. The motion does not need to be long but it should indicate that you are seeking a modification of the parenting plan. You should also include brief statements as to why the existing parenting plan is not working and why you believe your proposed plan is in the best interest of the child. What regular visitation should the noncustodial parent have (every weekend, every other weekend, etc.)? When should the visitation begin and when should it end? Who should have custody of the children on the holidays, school breaks, the children’s birthdays, etc.? Should the noncustodial parent have extended summer visitation? When formulating your proposed parenting plan, try to view your proposals objectively: do they seem fair and equitable? A court that feels you are being unfair to the other parent or otherwise being unreasonable in your proposals is not likely to grant you a modification of the parenting plan. A copy of your motion and your proposed parenting plan needs to be filed with the clerk of the court and a copy served on the other parent. The court will set a date for your hearing. o Grandparents, aunts, uncles, etc. 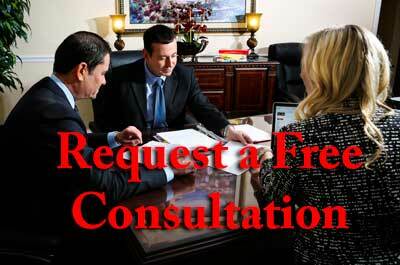 The law does not require you to have an attorney in order to proceed at the hearing. However, you should be aware that if you do represent yourself you are held to the same rules and procedures that attorneys must abide by. You must properly present evidence and testimony and make appropriate motions for the court to rule on. Neither the court nor any other attorney present at the hearing can give you legal advice during this hearing. Once you have presented your evidence the other parent will have a chance to present any evidence or testimony he or she wishes the court to consider. Once this is done, the matter will be decided by the court. In most cases you should get a ruling on your motion that very same day; however, the court may take the matter under advisement. If the court grants your motion and orders the parenting plan changed, the judge will give a date for when the new parenting plan will begin. After that “effective date,” the parties will need to follow the new parenting plan. If the court denies your motion to change the parenting plan, in most cases you will not be able to challenge that decision. You may apply for a modification of the parenting plan in the future if you believe new evidence or circumstances exist that warrant a change. In most cases, however, you cannot file another motion to modify the parenting plan based on evidence you previously presented to the court. Modifications of parenting plans are granted by the courts, but you must have compelling evidence to support your contentions and request. An attorney can help evaluate your situation and advise you as to whether your motion is likely to be denied or granted. If the attorney believes you have a good chance at being successful in your motion, your attorney can help you locate evidence and witnesses to support your motion and present this information to the court.